« Training Camp has started for the Bears. Time to blow out the candles again. 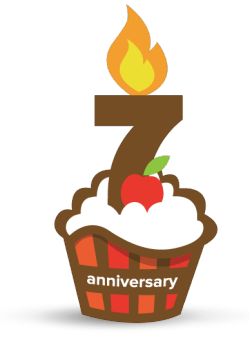 Fire Jerry Angelo turns 7! Where has the time gone? If you can believe it, most of us have known each other for damn near a decade. Thank you, everybody. I know I say that every year, but it never gets old. All of our readers are the reason why this place is up and running. If you were to ask me if I had any specific memories about this place, there would be countless ones. Yes, most of the events that have happened in sports have been on the negative side (I think that’s why this site existed in the first place). We’ve used this site as an outlet to let it be known that we are pissed off fans of our teams in Chicago sports. I will brag for a second here, but I think calling out Sarah Spain five years ago and having her fight back by saying that I posted almost all false information made me laugh. Earlier this year, the whole Aiyana Cristal saga with 670 The Score’s Dan Bernstein brought a lot of eyes to this site. But I do all of this for fun. In seven years, I never made a single dollar from this site. And even if I tried to make money, it probably wouldn’t have worked. Anyone can have a website, channel, whatever else. But, to know that I did this years ago tells me that I wasn’t doing this to try to be famous or make money. If it happened, so be it. But I truly come here to talk to you guys and girls because it lets me know that I am not the only person in the Chicago sports world that’s pissed off. I would thank a lot of individuals, but I am afraid I will leave someone out. However, I do have to thank Genrebuster for helping out over the last few years. Thanks, buddy! And thank you again, everybody. This entry was posted on August 2, 2015 at 11:23 am and is filed under Uncategorized. You can follow any responses to this entry through the RSS 2.0 feed. You can leave a response, or trackback from your own site. Thank YOU Fro! If it wasn’t for you and this website, I’d have a much larger ulcer than the one I was diagnosed with last week. I’ll keep on venting when it’s appropriate, and give out some praise when it’s due as well. Thanks again Fro, and congratulations on another year of having the worst website on the net! Anytime Chucky. And just for you, this is my gift. Enjoy. Goddamn, I love that woman. man…time flies. It has been a real pleasure to be involved and contribute as possible. When things settle down a little, I’ll do more. Thanks to everybody who visits and especially those who contribute. Special thanks to Fro for making it possible and the rest of youse long-standing faithful posters and ranters…you know who you are! Congrats, Fro! 7 years is a long time to be around in the internet age. Nice to have a place to vent with like-minded people. Wow, Cheryl Scott is cute! Too bad we don’t get Channel 7 down here.